Allegra Boverman/Gloucester Daily Times. 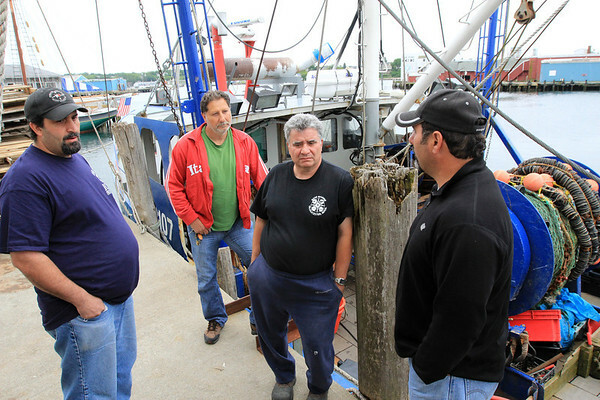 From left are Gloucester fishermen Paul Vitale, Vincenzo Taormina, Joe Orlando and Al Cottone at Fisherman's Wharf on Tuesday next to the Padre Pio, Orlando's boat. They were discussing the latest NOAA catch limits.